Product #45996 | SKU SLR-4977R | 0.0 (no ratings yet) Thanks for your rating! The SLR Magic 49-77mm Step-Up Ring permits the use of 77mm threaded filters on lenses featuring a front filter thread diameter of 49mm. 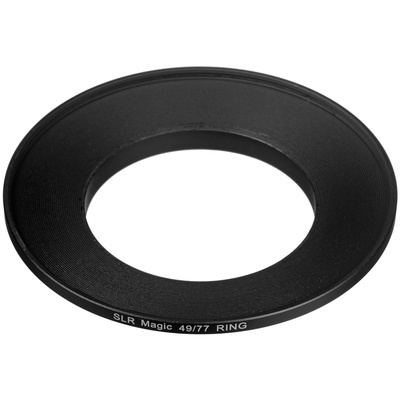 This aluminium alloy ring provides a durable solution for using one size of filters with various sized lenses.